Tracking how your campaigns are doing is the lifeblood of affiliate marketing, which is why more and more companies are building trackers to fulfill the needs of affiliates. TrackingDesk is one such tool that was founded by an affiliate marketer named Laurent Malka, who tried various trackers himself and found them lacking. This is one of the biggest features of Tracking Desk. It has a massive list of traffic sources and affiliate networks under its belt, making setting up marketing campaigns far easier. You don’t need to worry about tracking issues and there is a very little learning curve with its setup. What stands out though is Tracking Desk’s integration with marketing automation tools such as Zapier and Active Campaign. This is best for when you need such tools for your own business or if you offer this service to your clients. This tracker allows you to rotate offers and landing pages and show the right combination based on user information such as country, device and more. If in any case traffic arrives that doesn’t match that of your campaign’s settings, instead of landing on a weird offer, the user will be redirected to your Fallback Offer. You can set the fallback to be based on the affiliate network, the geolocation, and category. However, you need to make sure that you do have offers that fall under your fallback settings of choice else your user will end up at a blank page. 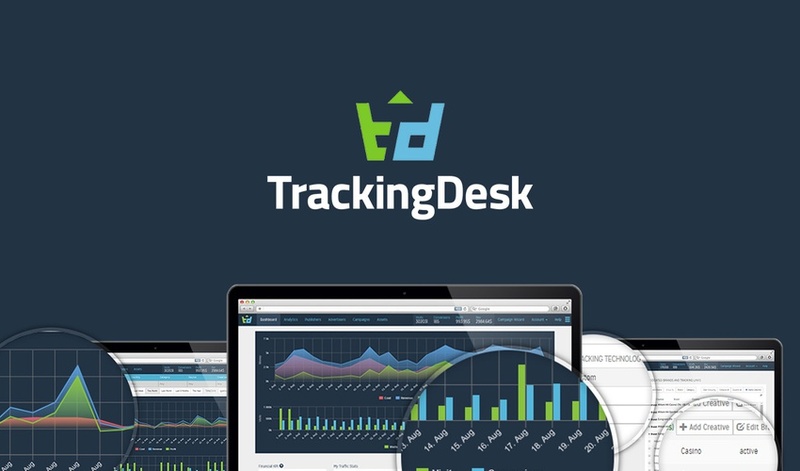 Although almost all tracking platforms offer customer support, TrackingDesk is very well known for unparalleled customer service. Even the founder himself would approach account holders to make sure they are satisfied and to help them fix issues with the tracker. Personal – this level includes five tracking domains with SSL, a hundred thousand events and 45 minutes of mentoring. This plan costs $50 per month, with an overage charge of $0.1 per thousand visits. Affiliate – this level includes unlimited tracking domains, allows rule-based targeting and enables the Fallback Campaign feature. This also includes 120 minutes of mentoring. This plan costs twice that of Personal plan, at $100 per month with a limit of 1.5 million visits. Traffic in excess of 1.5 million will be charged at $0.04 per thousand visits. Super Affiliate – this plan includes everything in the Affiliate Plan, plus notification and logs, and bulk offer import. It allows for 5 million events per month. This plan is worth double that of the previous plan, at $200 per month. Overages are charged at $0.03 for every thousand additional views. Media Agency – the most expensive plan in this list, this includes everything under Super Affiliate, with additional multi-level access for various users, custom dashboard, and landing page integration. Instead of the typical customer service support, your onboarding session will be with the CEO himself. It is priced at $500 per month, with an overage rate of $0.01 per thousand visits. All of these plans include a 30-day free trial, with a limit of 100,000 visits a day and a maximum of three million views a month.